So: What is the result of these first workshop? We hope this gives an impression.Still a long way to go: But we will get there! 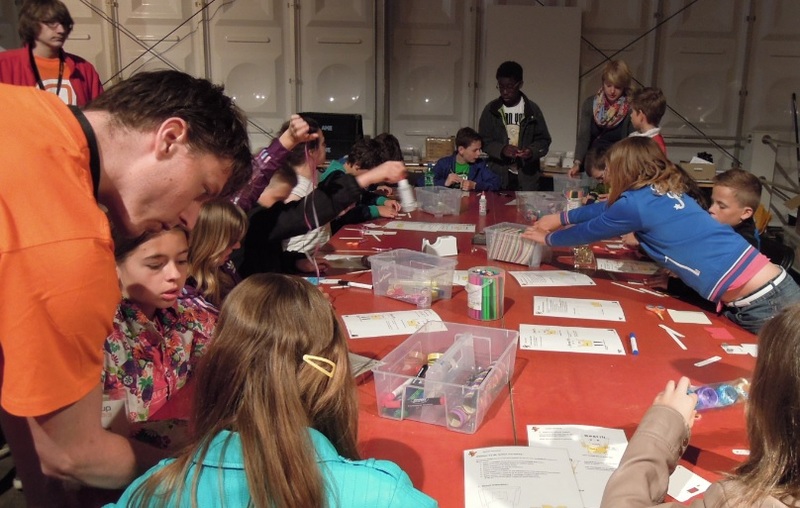 During the first workshops, more than a 100 robots are built! The progress can be monitored on this website. The participants are gathering for Robocup 2013. The first fans have arrived on the stand. Only 998 to go! 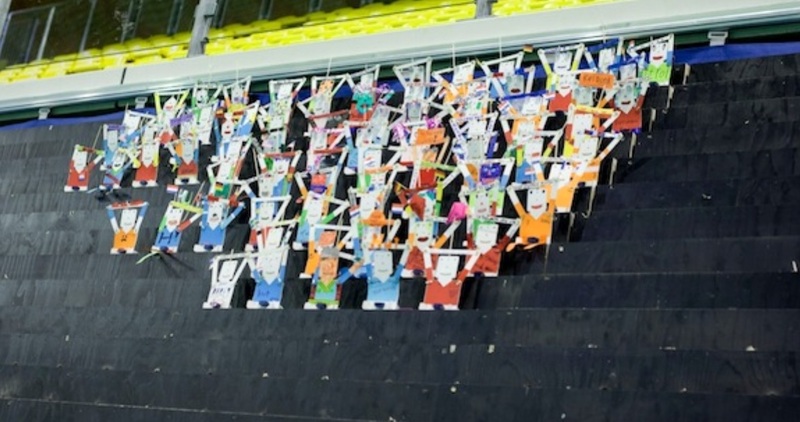 The workshops to build the FanBots will start on Wednesday. 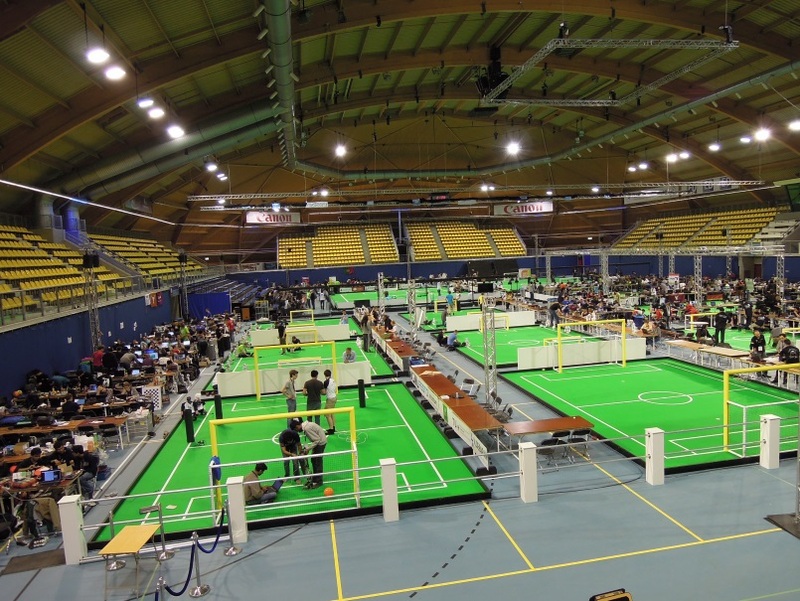 The preparations for the Robocup 2013 competition are gaining momentum. The sports arena is prepared to host teams from all over the world. 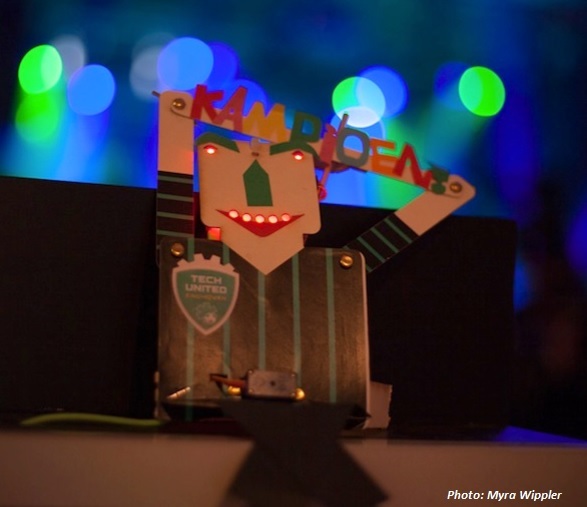 More than 2500 participants are expected to come over to Eindhoven. 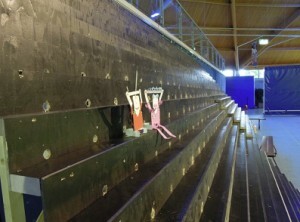 In addition, the stand for the Fanbots is assembled (this is only one section, but it is clear a lot of robots have to be assembled to fill all seats).